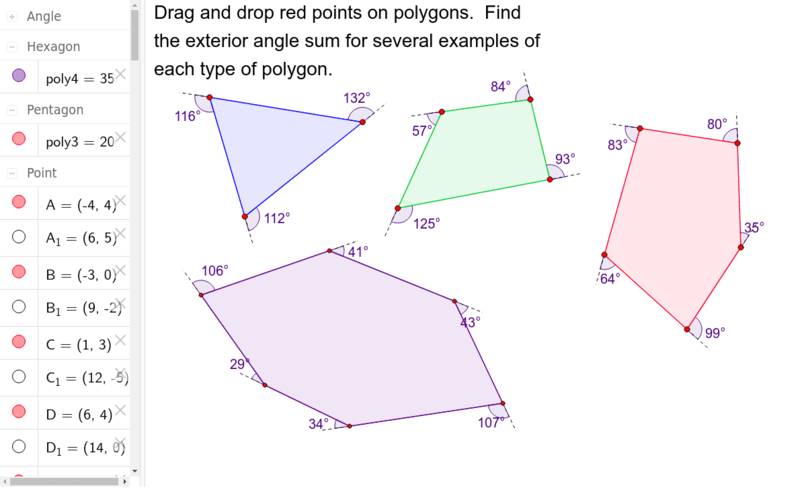 Change the angles in different polygons, and then find the sum of the purple exterior angles in each polygon by hand. Can you see any pattern? Why might this be the case?